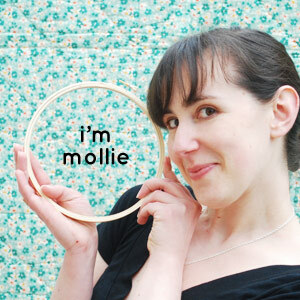 Do you misplace your needle as much as I do while stitching? Usually it's not while I'm actually stitching, but more like, when I set my hoop down or am between colors, and then I get distracted and come back to no needle. It's a dangerous habit, and needle books don't help when I'm mid-project. 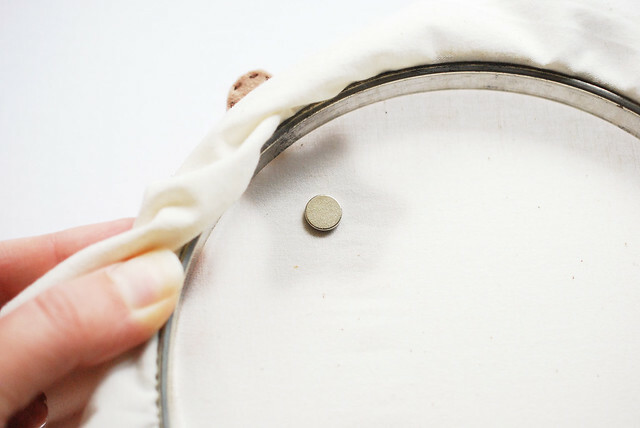 This genius little gadget is a magnet that connects through your hooped fabric and holds your needle. No need to stick the needle through your fabric, only to poke yourself on it later because you just didn't quite see it there (yes, this happens to me all the time), because it will be stuck tight on the magnet. And with the DIY version that I've recently made, it will be fiercely guarded by a flying squirrel. 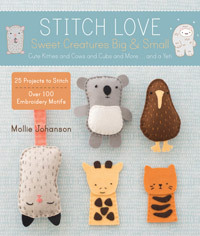 This is really fast to make, and I think these are both fun and super cute, so expect to see more needle minder patterns in the future. 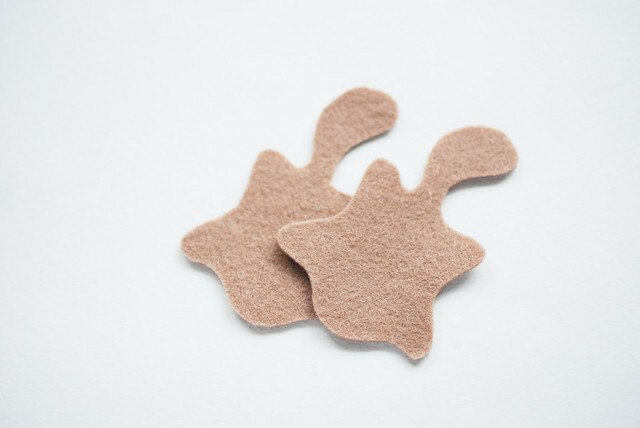 Cut out two flying squirrel shapes from the felt. 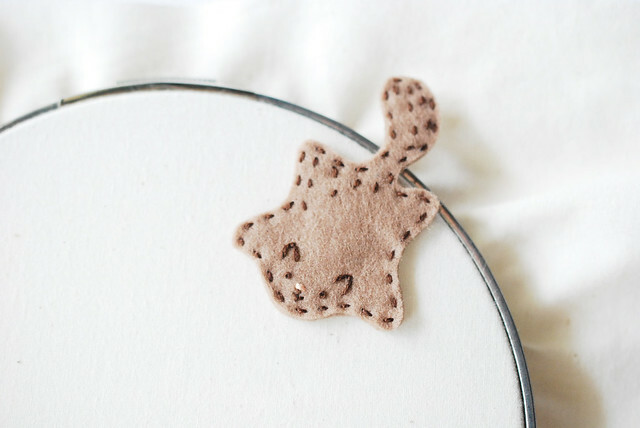 On one of the shapes, embroider the face and fur. On the other squirrel shape, place one of the magnets. I used a small dab of fabric glue to hold this on there, but you wouldn't really need to. I wanted mine to stay in one spot instead of moving around inside. 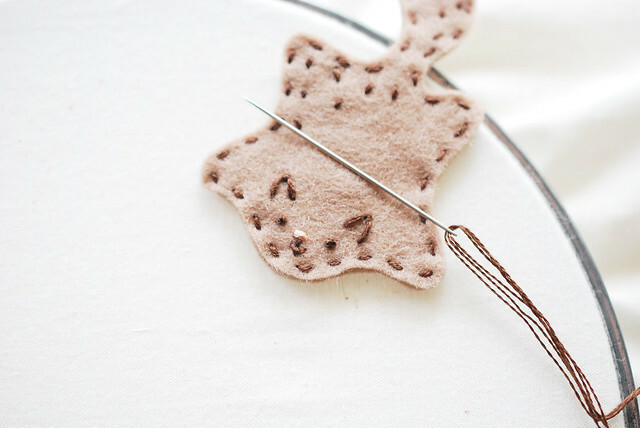 With the magnet sandwiched between the layers, stitch around the squirrel shape with running stitch, and hide the knots between the layers. 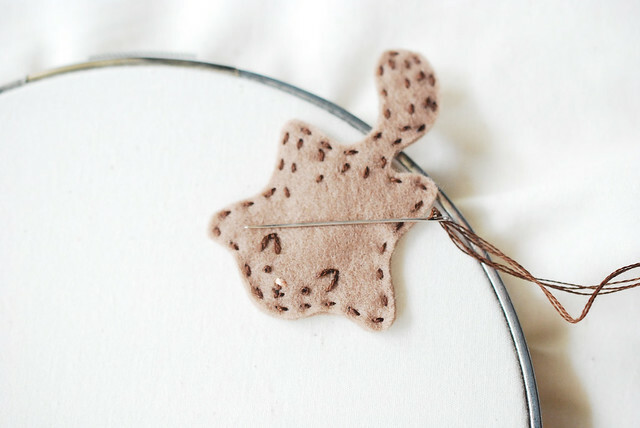 To use your needle minder, lay the flying squirrel on top of your hooped fabric, then place the second magnet on the back of the fabric. It will hold together and stay there as you work! 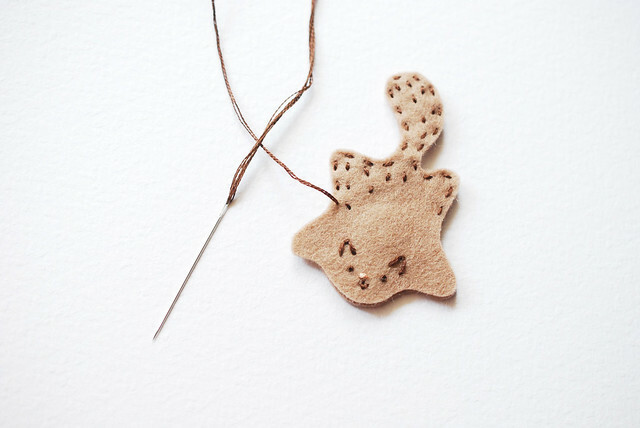 Then, just set your needle on your squirrelly friend and you won't have to worry about losing that needle! 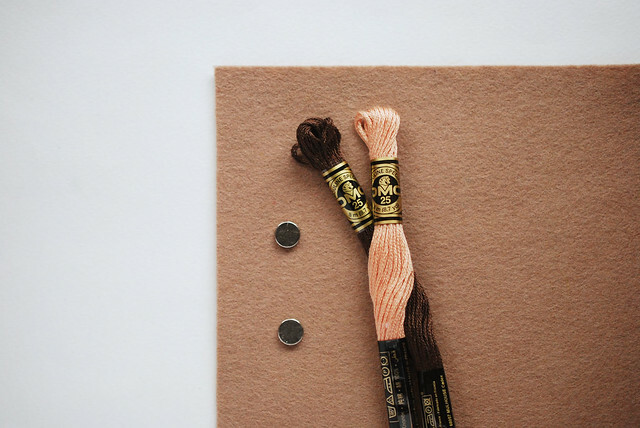 Of course, if you're going to stow your project while traveling, or if you need to put it away for a while, it's a good idea to remove your work from the hoop and place that needle somewhere more secure, like a needle book. You wouldn't want it to get pushed around and fall off the magnet. 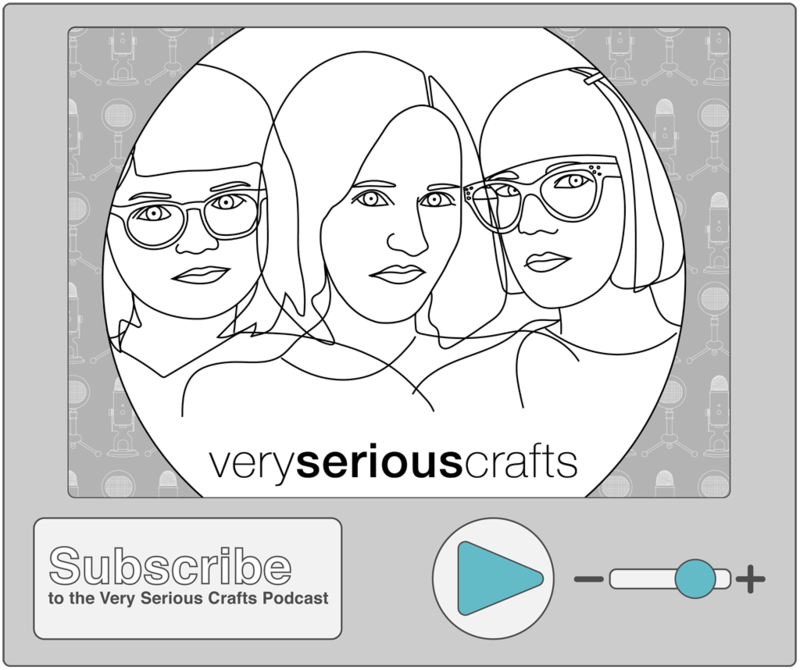 But for as you stitch, this is the way to go! OMG! 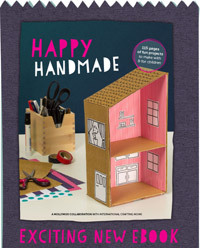 This is SUCH a cute idea, I gasped out loud!! 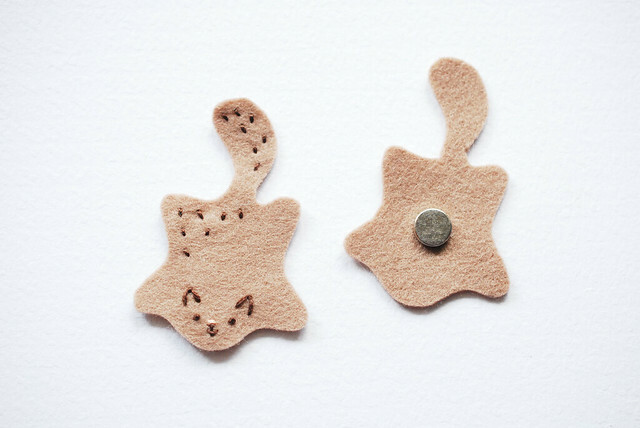 I have a needle case with a magnet, but never thought of this ADORABLE version of the same idea!! Thank you for posting this, how fun! What a super idea. I wonder would the magnets be strong enough to hold if the back magnet was covered as well - I was thinking that if it were covered with a second squirrel (or other creature) and then the tips of the tails were attached I'd never have to risk losing the back magnet which knowing me is a big risk. I'm fairly sure that it would hold. These magnets are super strong! I bet you could even make the tail long enough to wrap around to the back and hold the other magnet. 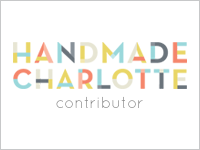 I love needle minders, they've completely changed my life! And this is absolutely adorable! I like Paula's idea of making two sides to it! Brialliant! My needles are always mysteriously losing themselves. Not any more! This is brilliant *and* cute! I will definitely be whipping one up for myself. Thank you! This is clever! I like the cute cat! Can imagine it turn into other accessory like wire holder, brooch, key chain etc. Cute and practical. I love it!! Love! And *such* a good idea. This is so cute and such a great idea. I love it!